This bracelet is made of 100% silicone. It's imprinted by debossed. 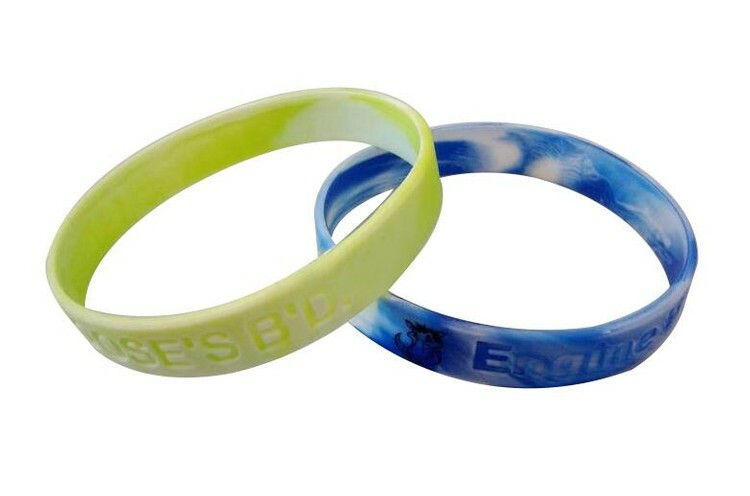 Different colors can be imprinted on one bracelet We accept small request and assorted. Many colors are available to fit any occasions. Product Colors: Pink, Blue, Green, Red, Yellow, White, Green. Product Imprint Size: 4'' w x 1/2'' h.
Product Package: 100pcs/opp bag, 1000pcs/ctn, 12.2Ibs/ctn. Product Price Includes: 1 color, 1 side, 1 location.